The following post is something I wrote after I first heard about Kobe Bryant’s decision to retire after the 2015-16 season, after reading his farewell letter to the sport of basketball. I didn’t necessarily feel like publishing this at the time, though. I wrote this more as a personal piece for me to reflect, to get my feelings out there, to figure out what those feelings truly were. As I watched Kobe’s farewell begin on ESPN with Kobe sitting on the bench, staring up at the abnormally large video board at the Staples Center, I felt a little sadder than I thought. I felt like I could have cried if I really wanted to, as if the tears slowly started to build up, but ultimately never left because I didn’t feel emotional enough. Then he made those pair of free throws to score 60 points, and I wanted to cry more than ever before that night. Not sad tears, but happy tears: A 60-point game is such a grand way to go out, and it made me happy to see. But I never expected that I would even potentially cry. For some reason, at that moment, I decided this was something I wanted to publish. 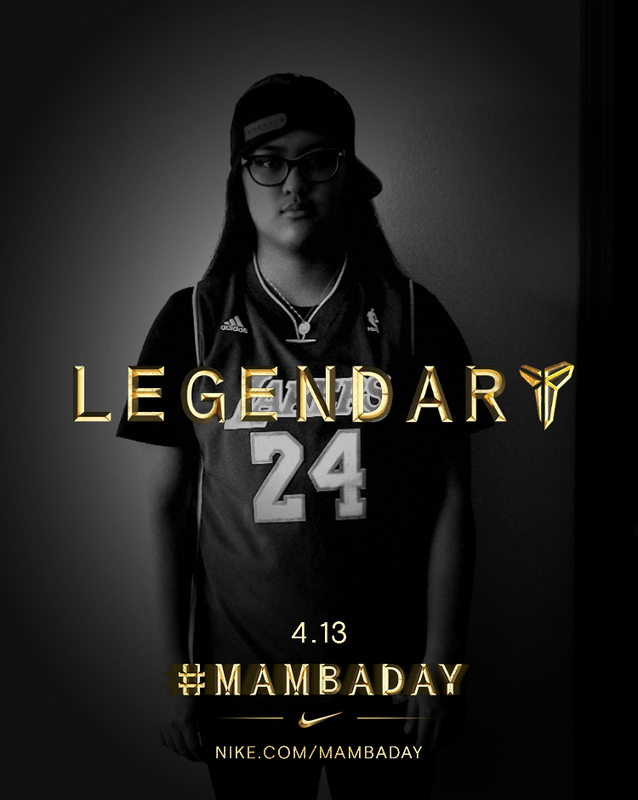 I’m not sure why, but I suppose it’s just my way of honoring the Black Mamba. I wanted to write something about Kobe Bryant retiring because it felt wrong for me not to. I wanted to write something about Kobe retiring because I care too much about him and basketball not to. I wanted to write something about Kobe retiring because it’s a sad thing that’s making me feel more than I want to. I wanted to write something about Kobe retiring, but I didn’t know what that something was then, and I still don’t know now. All I know is Kobe’s news has clouded the basketball community, fans and players alike, with sadness and nostalgia. All I know is Kobe has made too great of an impact on basketball for it to ever be the same again after this season. But I’m not going to try to pretend I’m one of those people who grew up wanting to be Kobe, copying his every move whenever setting foot on a court because that’d be lying. I’m not going to say that I’m one of those people reminiscing about all of the Kobe memories they’ll never forget, ones they can still vividly picture in their minds without any real effort either because my mind never preserved any of the Kobe moments I had the fortune of seeing. But I am a Kobe fan, and, even though he’s never been my favorite basketball player, he has always been one of my favorites. In fact, I can’t think of a time when that wasn’t the case for me. When Kobe was just entering the league, when he was being drafted by the Charlotte Hornets only to be traded to the Los Angeles Lakers, I hadn’t even turned one yet. I don’t know basketball without Kobe. He has been in the league about as long as I’ve been alive, so it’s insane to think he has lasted so long. It’s insane to think he has lasted in the league so long and remained an elite player for most of his career. Of course, these past few seasons haven’t featured the Kobe that we’ve all come to love and will miss, the Kobe that helped lead the Lakers to five championships. The fact Kobe hasn’t been that Kobe has convinced people that Kobe’s retirement is long overdue. I neither agree nor disagree with that, and I say that because I’ve never had the relationship with basketball that Kobe has. Basketball has never really been my life, and I wasn’t never much of a basketball player. Basketball was just something I loved, something I spent a decent amount of time doing when I was younger. But, as an athlete, basketball was never something I was completely invested in — even if I would have liked to be. I first played organized basketball in fourth grade and played until sixth grade before I was forced to stop playing in an organized setting. Then, I got back into it the summer before my freshman year, but ultimately decided I wasn’t in love with it anymore. I didn’t love playing basketball that summer, so I stopped playing in such a setting. And that’s not to say I don’t love basketball now, or even that I’m not in love with basketball at this point in time. Ask anyone who knows me, and I’m sure they’d say otherwise. I’ve just never sacrificed so much for basketball like Kobe did, and it’s such a large sacrifice to make. It’s a relationship whose commitment would have had to start as a child and been maintained for years after that. For Kobe to stick with basketball for so long is quite admirable — and he has done so at the highest level. I’m sure it’s not too difficult of a decision to make when you’re so talented, though. But Kobe had to make sacrifices continuously, and he kept playing and maintained his motivation to do so even after accomplishing more feats than most of us could ever dream of. I’m still trying to process the fact Kobe poured his heart out to basketball in the form of a poem, that he felt so strongly enough about it that a poem — a form of writing associated so much with romance and love, but also pain. It doesn’t really hurt, though. Kobe’s retirement hasn’t hurt my heart like I imagine it will whenever Kirk Hinrich retires (yes, you read that right). But I’m still sad, except it isn’t an overwhelming sadness. I imagine it’ll be a lingering sadness that never fully hits me, but Kobe’s retirement also gives me a new sense of respect for him. I always knew Kobe’s been around in the NBA for just about as long as I’ve been alive, but I’ve never really put it into perspective until now. I’ve never done so because I never thought I had to. I’ve been forced to now, though, and that’s what I’ll think of when I think of Kobe. Not 17 all-star appearances. Not five championships. Not any type of MVP awards. When I think of Kobe, I’ll think of his admiration and dedication to a game he has helped many fans enjoy more than before.